If you have a Google account - take the security check and instantly see which third parties have access to your data, which devices are listed as safe and what your verification details are. Change any details that are out-of-date or suspicious. View your location history in Google maps to see where you (or your mobile phone) were on a particular day - and decide whether you actually want to be tracked. Whilst being able to identify your location allows Google to foreground relevant news and local places to shop, you can turn the tracking off if you would prefer to move around without leaving a digital trail. 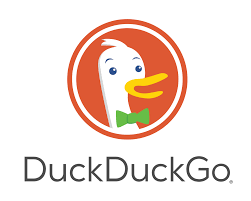 Consider using DuckDuckGo - a privacy-focused search engine that doesn't track your behaviour. You can continue to use your regular browser with the DuckDuckGo app and browser extension to prevent your online activities from being tracked by third-parties. Check out the Digital Civility Microsoft Virtual Academy in which SchoolNet SA's Megan Rademeyer and TechTeachers Matthew Hains talk about the darker side of the internet and what teachers can do to make their learners safer online. Take the Microsoft Digital Citizenship course on the Microsoft Educator Community to teach learners about the benefits and risks of the online world and to learn how to use technology to keep them safer online. Why not get your learners to become more aware of their online presence by investigating the tools mentioned in this post?